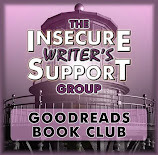 ANNIVERSARY: Today is the three year anniversary of the wonderful Insecure Writer's Support Group. Congratulations, everyone!! A special congratulations to Alex, the creator! Today is also my one year anniversary of joining. I have had a blast getting to know so many amazing bloggers, and I am looking forward to what the next year will bring in terms of inspiration, advice and friendship. Cheers! Next Wednesday, September 10th, my novella “30 Seconds” is coming out for the masses to read. Or at least a handful of people. And I am nervous! I'm worried that readers won't like this story as much as they liked Hurricane Crimes. I'm worried that I'll get bad reviews/low ratings. And I'm worried that I won't get any new readers. 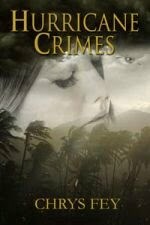 BIG NEWS: I finished writing the sequel to Hurricane Crimes!!!! The final word count is 70,045, which is 5,045 words past my goal. WOOT! WOOT! 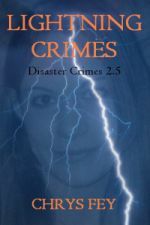 MORE NEWS: With over 900 total votes, Hurricane Crimes made third place in the cover contest on Lolly Tova with 18% of the overall votes. I know I owe it all to you, so thank you!! Beth and Donovan thank you, too! Me with a new hair cut. 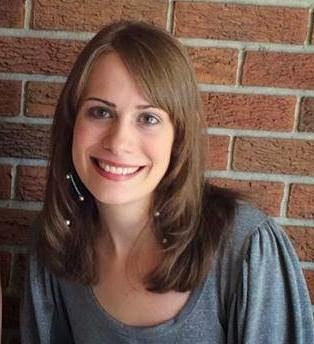 QUESTIONS: What do you do when you're anxious about a new book release? 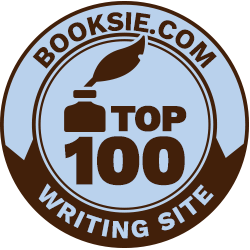 That big thud you heard was the sound of my head hitting the desk at your mention of having so many posts already written AND being partway through your A-Z posts. Sigh. Ouch! I was too slow to put that pillow under your forehead. I just like to be extra prepared. It helps me from getting too stressed, which is always a good thing. Way to go with finishing your sequel! I'm sure that's a load off. Love the new haircut. Nice! It is a load off. But now I have other projects fighting to be in the front. We don't ever get a break, do we? I like to think of that nervousness before a book release as a pleasant thing. Like your new hair and I'm amazed all over again at how far ahead you do your posts. Except for A to Z, I seldom have any done more than a week ahead. I tell you all the time that great minds think alike. We must have twin brains. ;) I think you're right that it doesn't go away. I wish I could ask Nora Roberts if she still experiences it. Don't panic! People will read your book (I know I will!). I'm almost always writing my blog posts the day they need to be posted. What is your secret???? Congratulations on both your one year anniversary, and you cover doing so well! 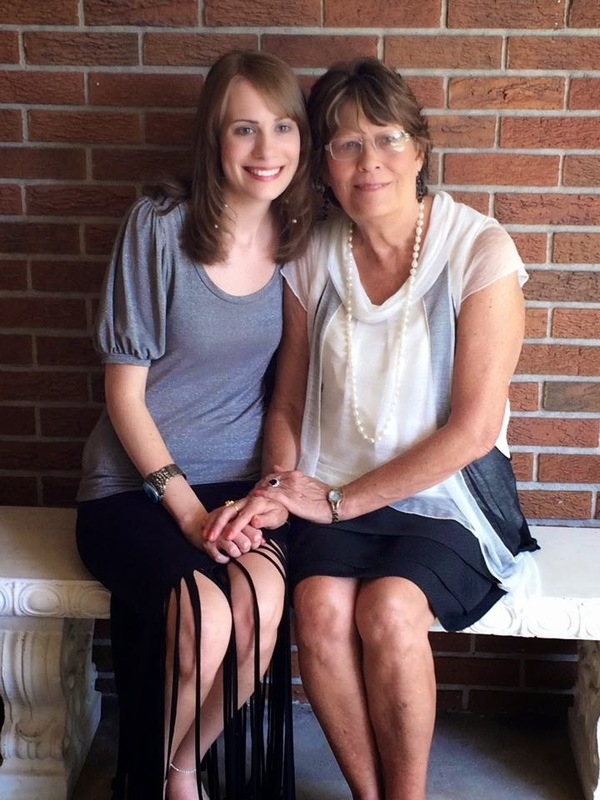 You look so pretty with your mother. Congrats on one week left to release. Eat! I have to stop myself from eating too much when I get nervous. Lovely photos and congratulations on everything!!! When Hurricane Crimes came out I was so stressed that I stopped eating. Not good! Congrats! And here I thought I liked writing my blog posts in advance. LOL! Congratulations on your release! You write more blog posts in advance than I thought I did. I still have a lot of posts sitting in my drafts folder gathering dust, put together when the hiatused Sweet Saturday Samples was still going strong. It's been on hiatus since last August, and I really hope our admin comes back to it like she said she wanted to. I don't think I would've been so nervous about my release dates had I known I'd hear crickets chirping and have such poor sales. I'd naïvely thought all the people who'd said they wanted to read those books would buy them on release day. 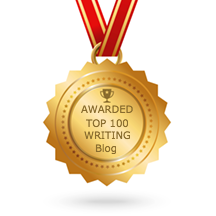 I think you write more blog posts than I do, though. I know just how you feel. A lot of people told me the same thing. 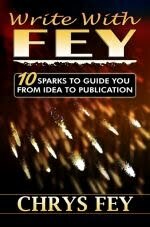 I even expected my close friends and family to buy my eBook, and yet I was surprised to learn none of them did. It is disappointing. I think that's a cute nervous habit. I have full blown anxiety attacks. LOL! Love the haircut, and I TOTALLY am going through the same thing with you. Book 2 releases in just over a month, and so far readers have liked it more than book 1, but the only people who've read it are those who are close to me...so you know, bias and all... Truth though? I'm going to ignore the feedback. Instead I'm going to focus on other things--like the next story. Thank you! I am actually planning on doing the same thing. 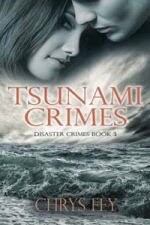 When Hurricane Crimes came out I stalked Amazon and Goodreads, but I don't want to go through that again. So I am planning on not paying attention to the reviews or sales until at least the New Year. Instead I am going to focus on other projects, like you said. Wow! I did almost lap myself. I didn't even realize that until now. Awesome you're doing so well on the sequel. You'll do fine. Nervousness is only a desire to do well, so we all have that. Here's to an amazing launch. Congratulations on finishing your sequel, that's great news! Can't believe you're that far ahead with your blog posts. My next post consists of a three word Post-it reminder. And I consider that working in advance. Happy Anniversary! Love the new cut, and WOW! posts almost a year in advance - you my dear are one organized lady! Thanks for your comment on my grammar post this morning - I do ask for help from others, but I worry that I'm taking advantage - I hate that feeling. Plus, I've found that some folks who call themselves grammar experts, really aren't, and I've gone and trusted the wrong person. 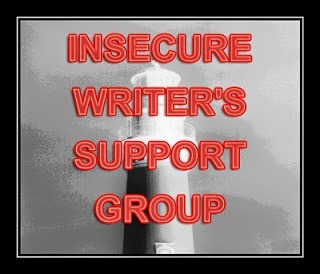 I have a wonderful editor for my books, but it's the daily work, the blog, and short stories that I worry the most over. Thanks again, and don't worry, you're going to do fine! BTW Congratulations! Thank you, Yolanda!!!!! Never feel like you're taking advantage. 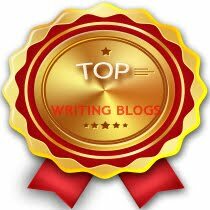 You can post on your blog, asking for anyone who is interested and willing to help you to email you. And asking those you trust and offering to do the same in return is also a good idea. They'll jump to help you so you can help them. ;) Whenever you need one of your short stories read, don't hesitate to ask me. I'd love to help you! What wonderful photos! Your hair is so pretty. And I'm excited for you with your upcoming release, yay!! I know it will rock! Love your hair. Thanks for sharing these photos! I love your new haircut. Very pretty. Good luck with the blog tour. When I have anxiety I run and do yoga. I also drink. ;) Congrats! I wish I knew how I felt if I had a book release--first I have to finish a book. You've got a lot going, you ambitious writer! I should think you'd be too busy to think about insecurity. And you're looking good too--nice haircut. I've never release a print book though. 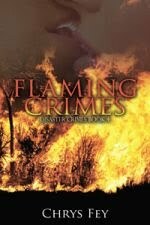 My first was a short story ebook and this one is also an ebook. I do have a lot going on, which is why I think the insecurity kicks in. Thanks, Arlee! I love your pictures and your hair looks beautiful, Chrys. Don't be nervous about the release of 30 Seconds! It's funny because Quanie also blogged about how fearful she is about her 2nd book which will be due for publication. You both have nothing to worry about. 30 Seconds is going to be fantastic. I know because I already read it and I can tell you this much, you are growing as an author. Your writing is getting stronger and the characters are infectious. Thank you so much, Gina! I'm happy that you like 30 Seconds and can see that I'm growing as a writer. That's what I hope all my writers will be able to see as they read each new publication. Thanks for your kind words, Gina! Gorgeous photos Chrys. Looking forward to reading your new book. I love your new haircut Chrys!! Good for you getting so much accomplished! and for your cover win! Since I literally JUST had a release I can totally relate to your insecurities. But it's also easier this time around cuz I've already been conditioned. It's always hard with a sequel too cuz you never know if readers will connect with it the same way. And I can't wait to read Induction Day. I'll be starting it very soon! 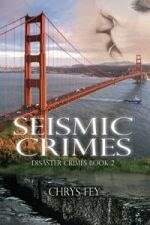 :D Yes, I'm worried about the sequel to Hurricane Crimes. I hope readers like it as much as the first, especially since the first was just a short story and the sequel is a full novel. Congrats on your upcoming release and finishing the sequel! those are big milestones! As for how I calm the pre release jitters... well, I haven't released anything yet, but my turn is coming. I haven't released a book yet, but if I ever do, I imagine I'd have butterflies rocking my belly. One day you will release a book. And I'd love to hear all about it.